Cars 140-142 were originally part of a large order of cars built by the St. Louis Car Co. for the Third Avenue Ry. of New York. These cars were resold in small lots to other companies all over the country. 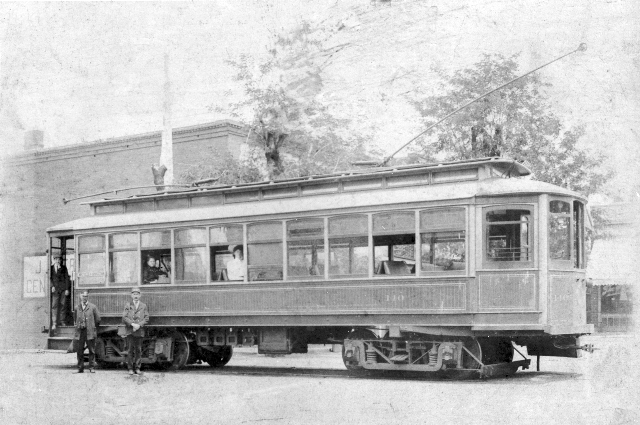 According to Buckley, these three, originally numbered 200-202, came to the ITS in June 1902, and were assigned to Danville city service before 1914; they were retired before 1920. This picture shows car 140 with its original door configuration and very worn paint. It has couplers, probably to provide for it to tow or be towed when necessary.